If you’ve never been to Index, I highly recommend it. Nestled amongst the Cascade Mountains it’s an old pioneer town that retains all of it’s Ye Olde Charm. 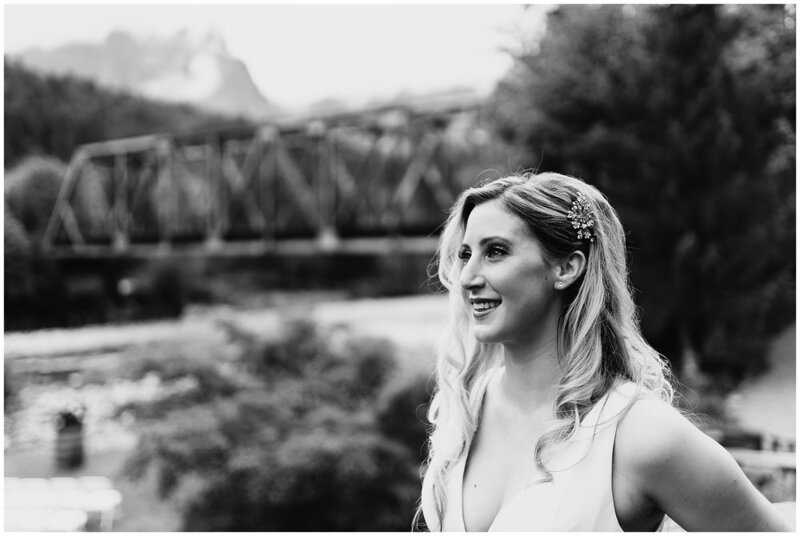 The River House embodies all of that with their rustic interior and gorgeous riverside access. 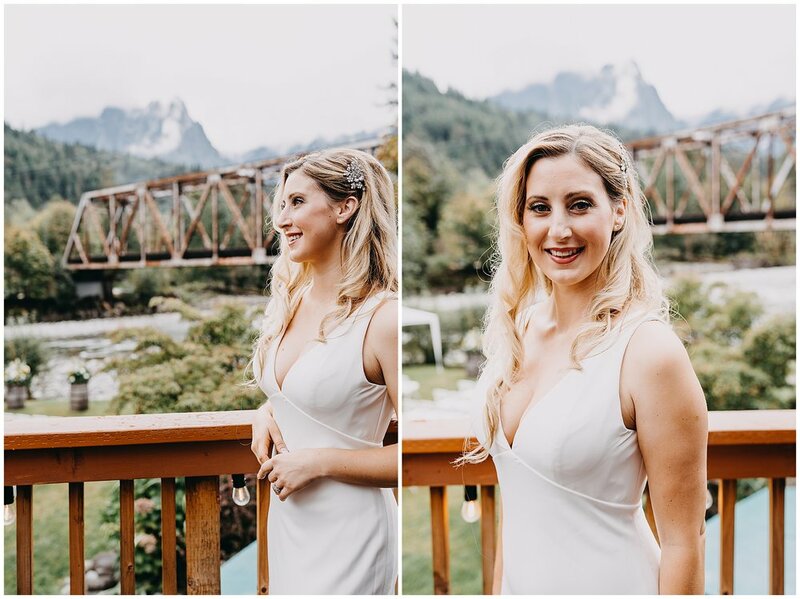 Amanda started her wedding day at the River House in their getting ready suite which has a patio with some of the most beautiful views I’ve ever seen. 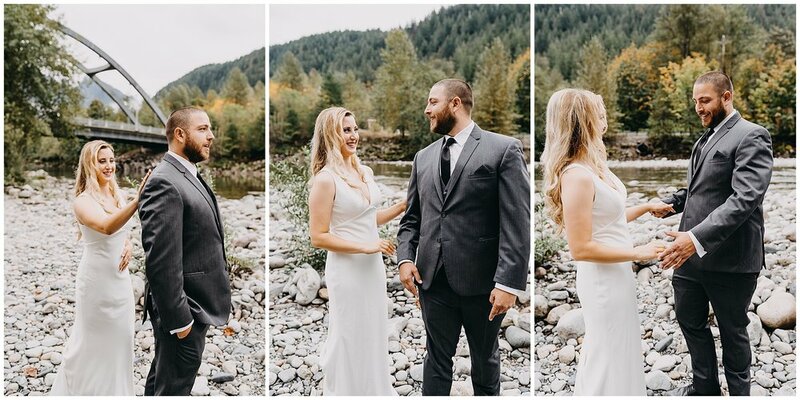 When Adam arrived for their First Look I took them down to the river bank where they could have a bit of privacy while also retaining the nature vibes they wanted. 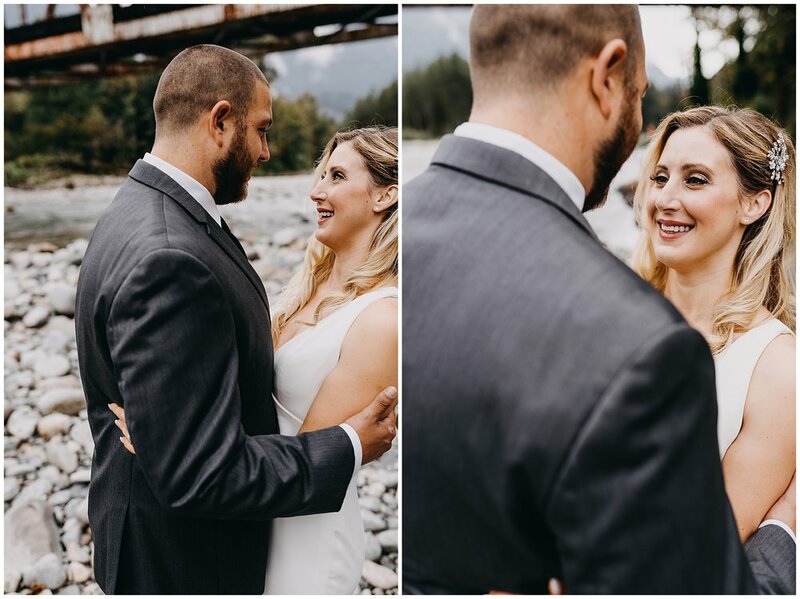 Adam looked swanky AF in his suit and Amanda looked beautiful in her elegant white dress and when they saw each other tears were shed which is still my favorite thing ever. 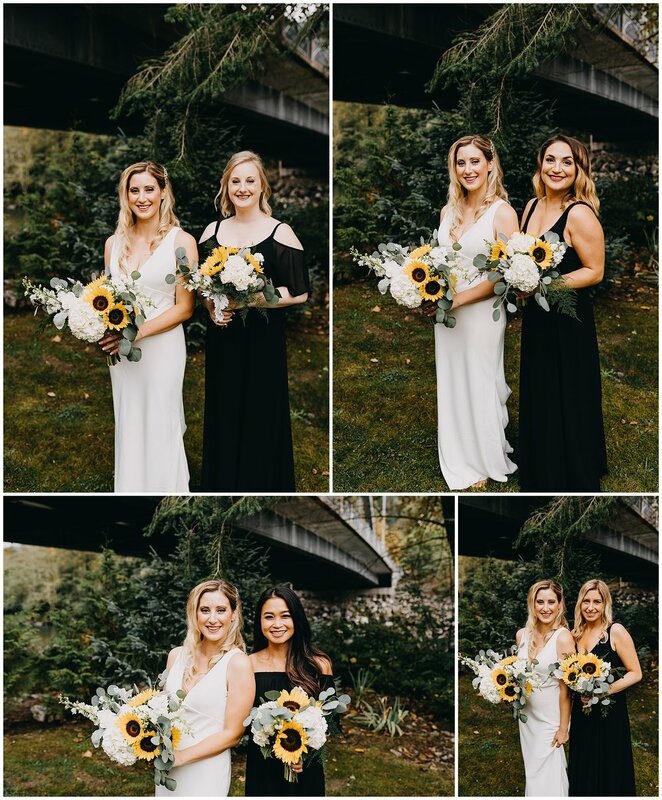 After the first look we gathered their respective parties for some photos and then wrapped up before the wedding ceremony with some family photos. The entire morning was spent anxiously watching the forecast to see whether it would rain during the wedding ceremony and I guess all the rain dancing paid off because apart from a few rogue drops it stayed pretty dry! 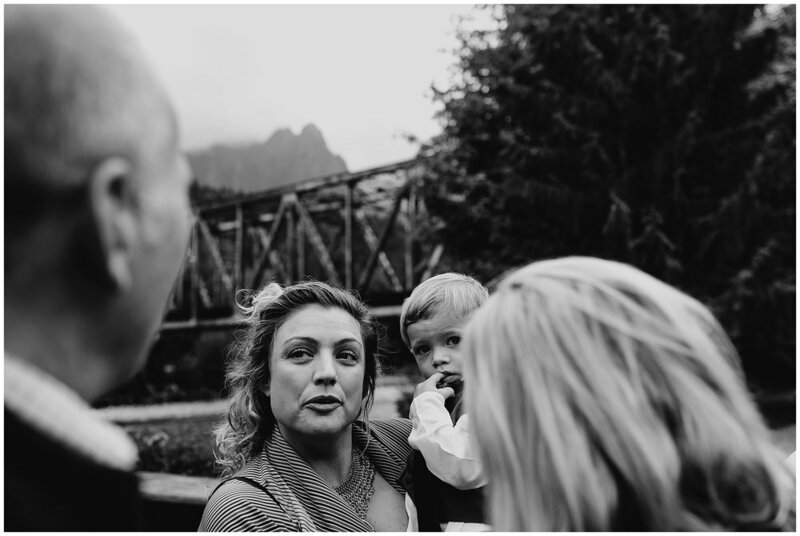 The wedding ceremony site was right by the riverside with the old rusty train bridge in the background and then the mist covered Cascades in the distance. To say it was #SOPNW would be an understatement. 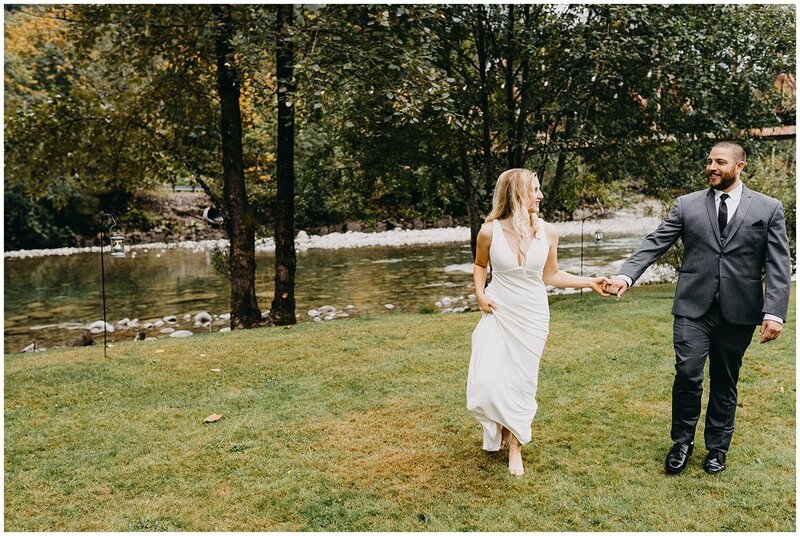 Amanda & Adam chose to keep their ceremony short & sweet and after a kiss they were headed down the aisle to a bubble recessional before being swept into the cafe for their license signing. Once everything was official they were announced for the first time as husband and wife before heading into dinner. A lot of the weddings I’ve shot this summer have had barbecue food but this was some of the best I’ve had all summer. The brisket & pulled pork in particular was delicious. Once everyone had a full belly, it was time for some speeches. Amanda’s mom Ann gave a beautiful speech incorporating a letter Amanda had written to Adam, and brother in law Teddy brought almost everyone to tears with a poem for Adams dad who passed away. Once everyone had been toasted and roasted the couple set the dessert table open and guests descended on the variety of delicious looking individual pies from Snohomish Pie Co. While the guests ate up their desserts I grabbed the couple away to do some sunset photos and give them a little breather from the busy day. 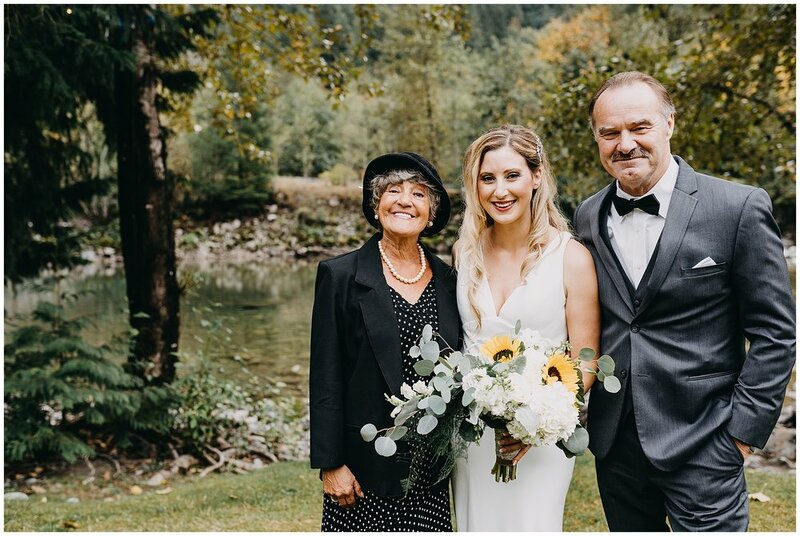 When we got back they headed straight into a first dance to Amanda by —— and then Adam danced with his Mom while Amanda danced with her father. After that the floor was opened to dancing and I made my exit to let the crowd dance in peace! 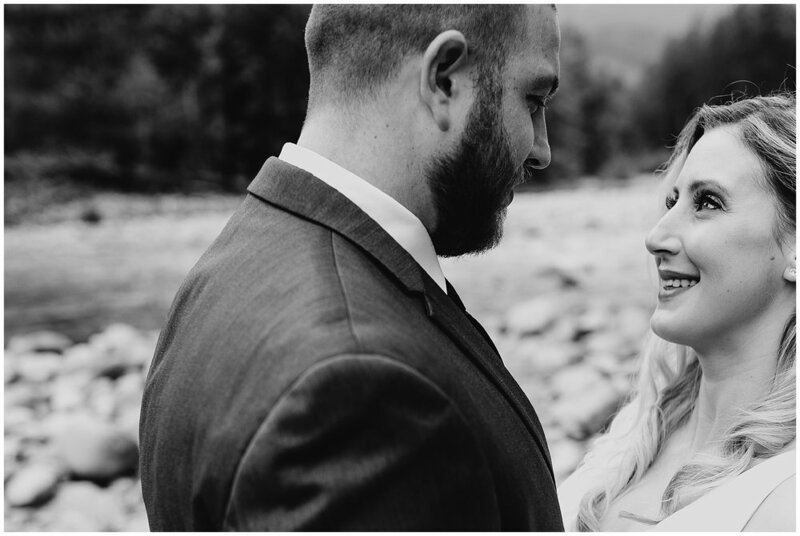 Amanda and Adam wanted their wedding day to be set in nature and full of loved ones, they definitely achieved that on both fronts. Congratulations to the happy couple!